The Delta No-Tangle vest style harness is ideal for a range of work environments. 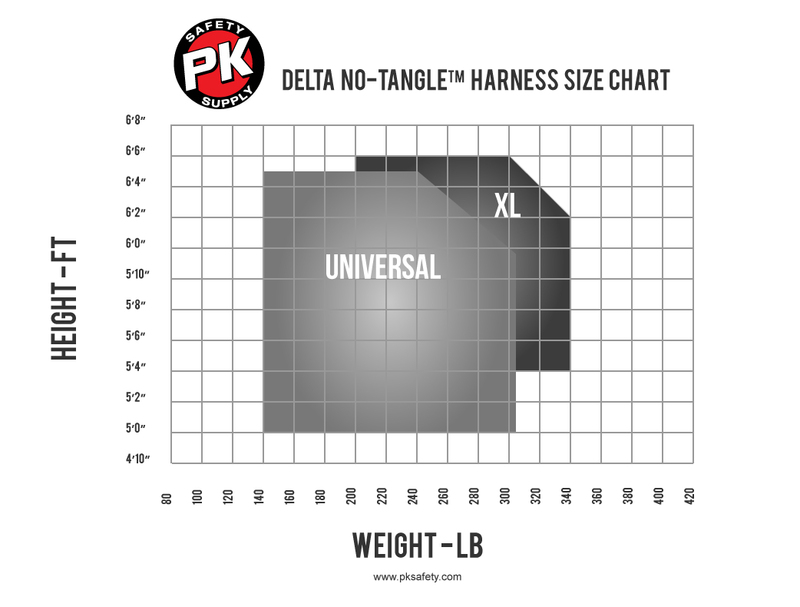 Featuring a stand-up dorsal D-ring for easy fall protection attachment and side D-rings for easy positioning, the Delta 1102008 harness provides affordable protection for extended work aloft. This lightweight harness is easy to put on, and is one of our most popular. It is used for general fall protection in across a range of industries. Every DBI-SALA harness combines maximum comfort, freedom of movement and ease of use without sacrificing safety. All harnesses are designed to securely retain you in case of a fall and distribute the impact forces throughout your body. The exclusive Patented Delta No-Tangle design holds the shape of the harness, adding to your comfort, and making it easier to put on. The integrated spring loaded stand-up back D-ring is an 'industry first' and provides the user with quick connection - enhancing ease-of-use and worker productivity. Optional Delta Comfort Pad accessory can be added for wrap-around comfort for longer hours of wear with less fatigue. This same DBI Delta Vest Style Harness can be had without the side d-rings, having a back d-ring only for a bit less money.